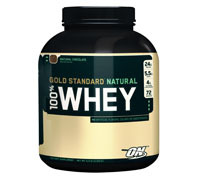 Whey Protein Isolates are the purest and most expensive form of whey protein that exists. 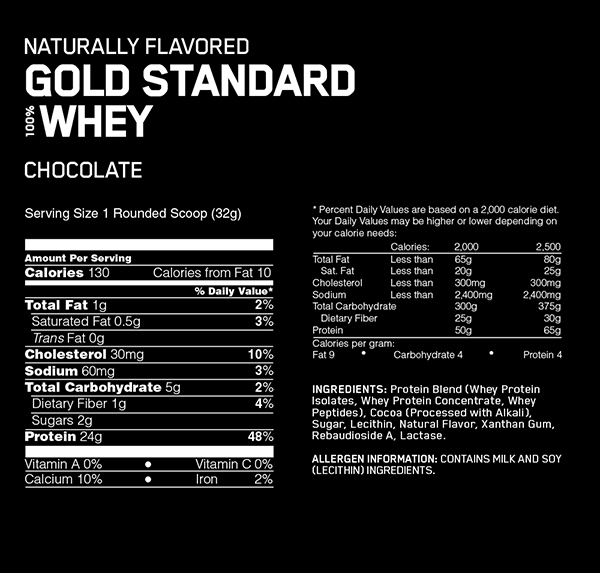 That's why they are the first ingredients you read on the Naturally Flavored Gold Standard 100% Whey™ label. By using Whey Protein Isolates as our primary protein source, we're able to pack in 24 grams of the purest protein with a lot less of the fat, lactose, and other stuff that you can do without. Whatmakes this formula even better is the fact that it contains no artificial flavors or sweeteners. There's no question this is the standard by which other whey proteins are measured.